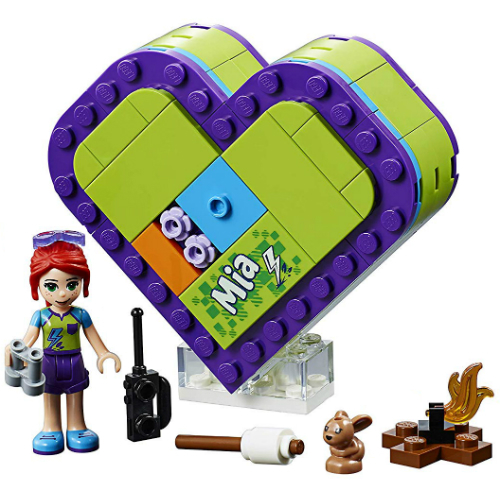 LEGO Friends Mia's Heart Box is a bijou carry case for nature-loving LEGO Friends Mia and all the elements that represent her character. 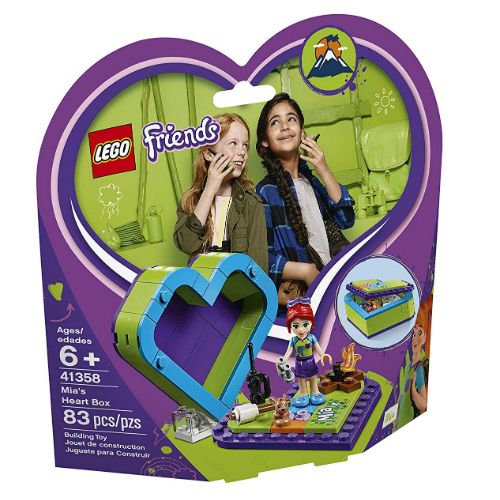 Included in this collectible toy is a pair of binoculars, a walkie-talkie and sunglasses to ensure plenty of outdoors role-play fun. 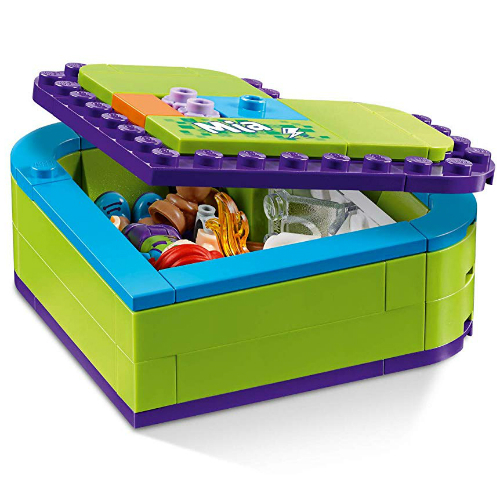 This LEGO Heart Box is a true travel set, as every element fits into the heart-shaped case, and the lid keeps all the pieces together. Remove the lid to use it as a stage where Mia can stand securely - perfect for play on the go. Includes a Mia mini-doll figure and a rabbit figure. 83 pieces. Measures approximately: 7.00 x 7.50 x 2.50 inches..